We're celebrating this week's 50th anniversary of Sputnik with a whimsical assortment of Soviet gadgets. 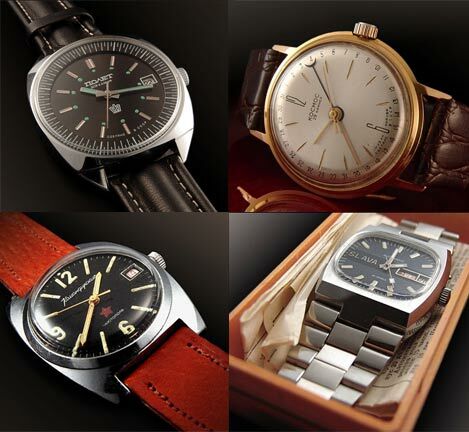 Let's start with some pure eye candy: Russian Times is a site built around an amazing private collection of Soviet-era wristwatches. Hundreds of beautiful photographs document a huge assortment of vintage watches, while the text chronicles the rise and fall of mechanical watchmaking in the USSR. None are for sale, but it's easy to get your hands on modern versions at reasonable prices.